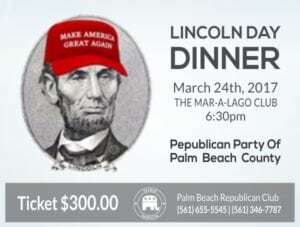 Price is $300 per person. At this time, he entire event has been sold out. 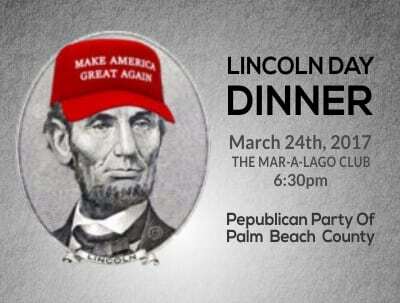 The host of Lincoln Day is the Republican Party of Palm Beach County.